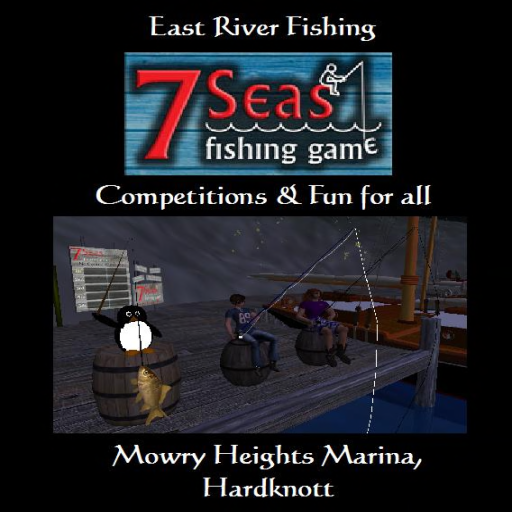 GinnerDave Mohindi will hold a fishing competition at Hardknott Marina Wednesday 17th at 3PM SLT. There will be custom catches for 7Seas fans and a price of L$100 for the most catches and the star catch. You are all invited to participate for some good fun. Update: please share your opinion and support Marianne McCann and our proposals by posting a comment on the Second Life blog! Interesting enough, all the new regions are named after popular Italian town resorts in Tuscany, Umbria and Piedmont. That certainly caught my attention. The Linden Lab Department of Public Works (LLDPW) has been quite busy improving mainland lately. Another welcome improvement was the work done in the Sea of Fables. As a community that traces its roots from the sailing community we are happy about this, of course. 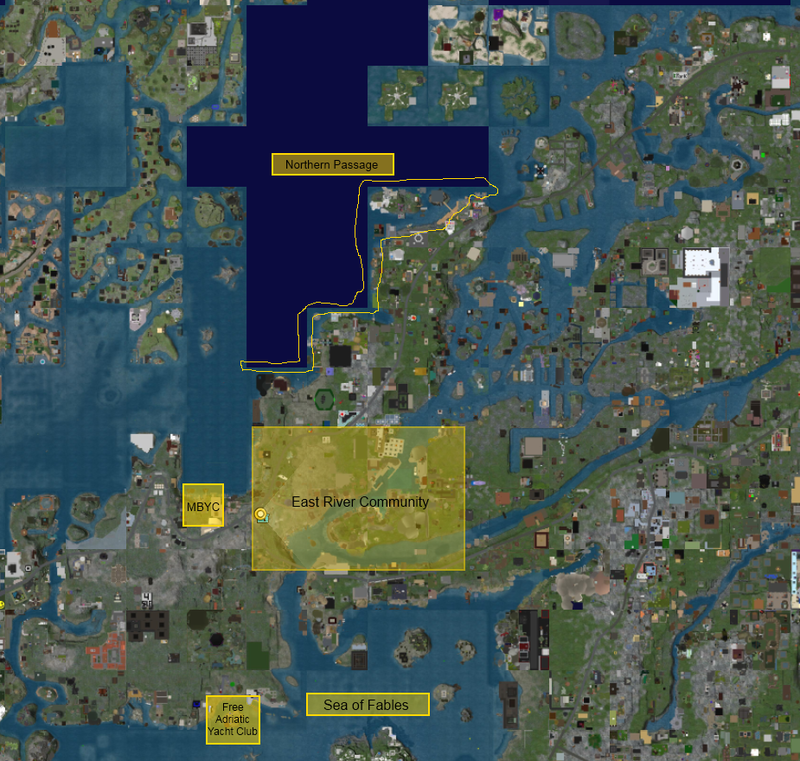 I also took advantage of this announcement to bring to the attention of Michael Linden and the LLDPW another needed improvement that has been requested by me and other people from the sailing community on different occasions: the Northern Passage. The Northern Passage, this is how sailors familiar with the waters in the area north of the Mowry Bay Yacht Club (MBYC) call a very thin strip along the coasts of the Grange, Carnforth, Furness, Alston and Maryport regions. The Northern Passage is quite a challenging trait for the sailors who want to circumnavigate the Maryport – Seascale Point, coming from the MBYC and the Hepurn race line and taking the East River Community – Sea of Fables route, and viceversa. This passage is often blocked by buildings and ban lines and it is almost impossible to pass it with a large boat. Filling this void would improve the navigability between the northern shores of Sansara and the East River Community – Sea of Fables area. About 10 Homestead regions would be required to fill the void. 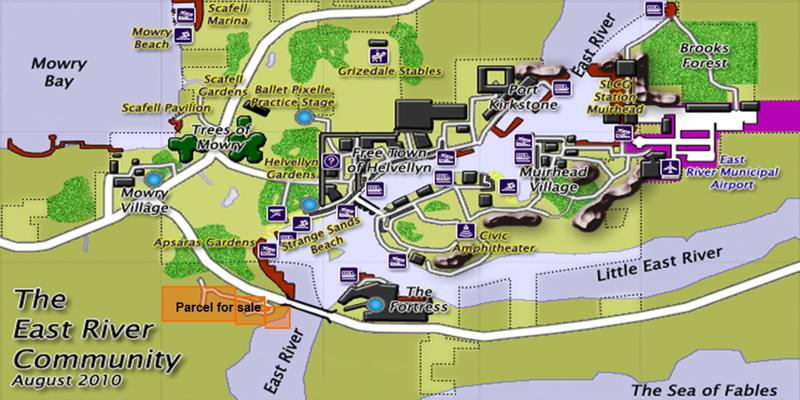 After sending a notecard to Michael Linden I found that Marianne McCann made a similar request for the area of Nova Albion and Bay City, as reported here. Amusingly, she calls it the Southern Passage. What an interesting coincidence. My best wishes to Marianne for having her request accepted, perhaps we could team together to have both requests approved. After all, improvements to the navigability of the grid benefit all the Second Life sailors. 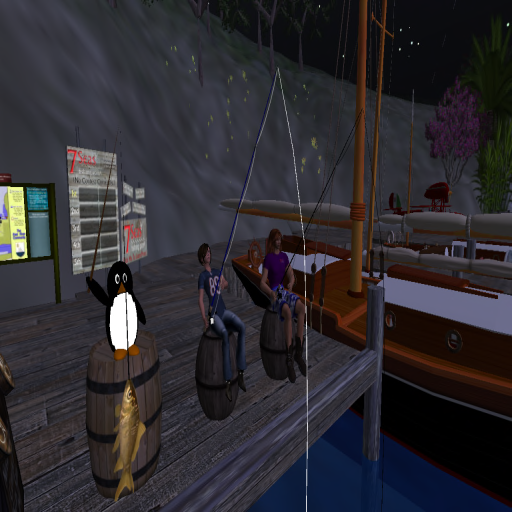 Can you think of a better way to enjoy your Sunday evening than to listen to Second Life finest and most benevolent performers, viewing beautiful art work and perhaps most importantly, walking away with a smile on your face and warmth in your heart. A major portion of the proceeds from the sale of artwork at Visions of Beauty Art Galleries (One and Two) is to be donated to benefit Abused Women. Performing artists in Second Life are donating their time and are hoping to entertain you and accept your contributions for this extremely important charity evening. The Event is to be held on the farm adjacent to the Galleries so you may come and enjoy the perfomances on that site as well as listen while, if you wish, touring the Galleries. Chandra Deed, who is not only a noted performer in Second Life and Real Life, has organized the event and plans that your contributions will ultimately be donated to a charity “WINGS — <www.wingsprogram.com> that supports the counseling of abused women in Real Life. For your informnation click on “about”, Chandra actively donates a great deal of her time in Real Life as a counselor for this cause. dj12 Magic and Gabrielle Avedon Magic are the proud sponsors of the event and are making the land available to Chandra and her cast of performers. Old friends leave, new friends arrive, some land to sell. Any artist looking for land? Update: this parcel has been sold. If you are looking for a nice place to live and be part of a nice community, please inquire. There are several parcels for sale in our area. After 3 years of friendly and peaceful coexistence, our dear neighbors of The Chalet group are moving to a new location. Our relation with The Chalet group has always been a positive one, as we always shared a common interest in keeping our corner on mainland as nice as possible. I have had many long, interesting conversations with Soen Eber and in more than one occasion had the opportunity to experience Branwyn Cassady’s kindness and generosity. The East River Community would like to express its best wishes to the kind people of The Chalet group. As with many changes, opportunities arise as well. Thaddeus Nadeau, a member of our community, has purchased a large part of The Chalet’s land. We are in talks about having his land as part of our federation of groups. We are very excited about this opportunity as this would be the first time the community would expand through the association of a new member. Stay tuned for further news on this. The Chalet group has still some land to sell. The parcel is located in the Macclaine region on Mainland, the Sansara continent. It’s waterfront, 12,976 sqm in size, rated mature. Beside our community, other places of interest are the Mowry Bay Yacht Club (MBYC) and the Sea of Fables. The rivers and the Sea of Fables are fully navigable, making the area a good location for Second Life sailors. You may be able to negotiate a purchase for a smaller part. A beautiful, unique custom-made japanese house is comprised in the price (visible in the pictures at the bottom). The parcel may be of interest to anyone who wants to have a nice location in Second Life in a well preserved area, while being in contact with a community of people with many interests. An artist or anyone involved in cultural activities who has an interest in preserving and beautify Second Life mainland would be welcome. We are also interested in having more people join our community and we will take into serious consideration any request. 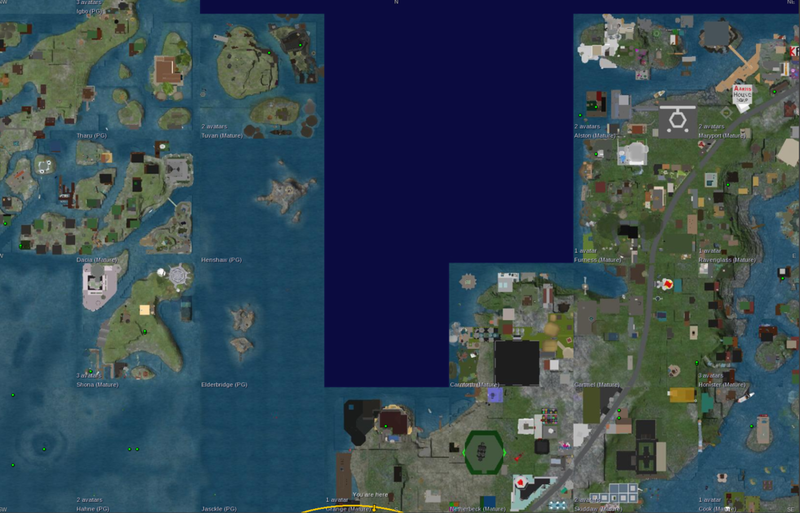 If you are looking for a place in Second Life to live and/or work in a nice area and in close contact with friendly and interesting people, come over to have a look at the parcel in Macclaine. For further information please contact Indigo Mertel or the land owner Branwyn Cassady inworld.